What, were you expecting them to be yellow? The Venezuelan government is pretty bad at everything it does. But you know what it is tragically, prodigiously bad at? Running cable cars. 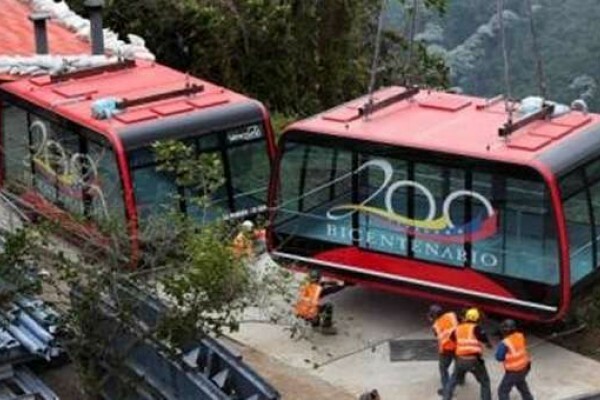 Last Sunday, the Waraira Repano cable car that goes up and down Ávila Mountain in Caracas broke down, leaving thousands of tourists stranded until midnight. Like something out of a Three Stooges sketch, it is still not clear what caused the malfunction. Both El Universal and El Nacional tried to get a statement from the cable car company, but there was only silence. The PR Department – yes, the cable car has a PR department – said that the Tourism Ministry would be issuing a communiqué (blaming the CIA, I suppose), but it has yet to appear. Looking for the scoop on this, I found out that the Mérida cable car, the “tallest” and “longest” in the world, has been out of order since 2008. In 2010, Tourism Minister Alejandro Fleming assured us the new cable car would be ready in 18 months, a deadline that already came and went. No trouble, now Mr. Fleming – yes, he still has a job – assured us that the cable car would be ready by 2013. Just to reassure us, Fleming informed the public that the government had already spent a jaw-dropping US$318 million … on a cable car that isn’t running. The funny thing is that in 2010, when they gave the magical 18-month deadline, they assured us the cost of the repairs would be BsF 169 million, roughly US$40 million at official rates. Not, of course, that tourists would have any obvious way to get to the base of the cable car, since Merida’s airport has been shut down to commercial traffic since 2008.